Recent News: On March 27, 2018, the Council of the City of Toronto has passed By-law 270-2018 to designate the property of 68 Baby Point Road (Conn Smythe House) as being of cultural heritage value of interest. 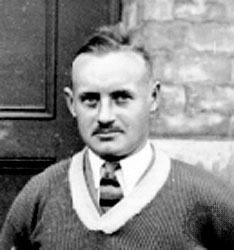 CONN SMYTHE – (1895-1980) NHL Hockey Legend, The Toronto Maple Leafs, Maple Leaf Gardens, The Hockey Hall of Fame, The Conn Smythe Trophy Many notable residents of Baby Point include the owner of 68 Baby Point Road. It was the home of Constantine Falkland Carry Smythe (“Conn”) and his family. 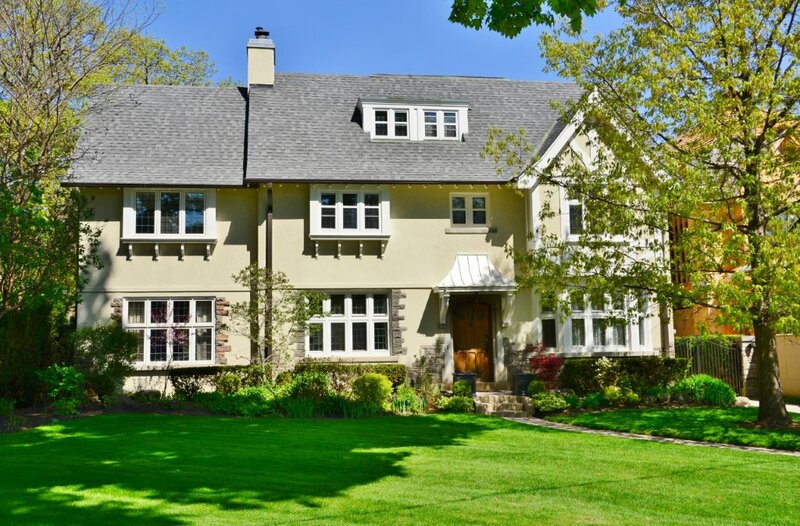 The Smythe’s were the first owners of the house moving in 1927. During an interview in 2011 on the Rogers TV Series Structures featuring Baby Point, Dr.Hugh Smythe, son of Conn Smythe, states that Conn Smythe bought into the neighbourhood because “he was a good friend of Robert Home Smith”. Conn Smythe died at his home on 68 Baby Point Road at age 85 in 1980. He is buried in the nearby Park Lawn Cemetery. Conn Smythe is best known as the owner of the Toronto Maple Leafs. As well, the prestigious National Hockey League MVP award the Conn Smythe Trophy, was introduced in 1964 to honour Conn Smythe. He had been the manager of the New York Rangers, but “after a falling out with management”, he and a number of associates bought the team in 1927 changing its name from the “Toronto St. Pats”. Subsequently, Maple Leaf Gardens was built largely owing to his efforts. Smythe served as Managing Director and President of Maple Leaf Gardens until 1961. During that time the Maple Leafs won five Stanley Cups. In addition to his role with the Maple Leafs, however, Smythe was also notable for serving in both World Wars, winning the Military Cross twice in the first war, and organizing his own artillery battery in the Second World War where he was seriously injured. He was also a race horse owner winning the Queen’s Plate twice. In addition, he supported a number of charities and founded the Conn Smythe Foundation as a focus for his philanthropic endeavours . Other connections with the west end of the City include Smythe Park and Recreation Centre located between Scarlett Road and Jane Street north of St. Clair Avenue. This is located on the site of a gravel pit which he owned and operated. The surrounding neighbourhood is known as Rockcliffe-Smythe and includes a subdivision he built for war veterans. Clara Isabella Harris (nee Perry) was born in King City, Ontario October 13, 1887. She attended the Ontario College of Art (OCA) where she studied under John W. Beatty, associate and influential to the Group of Seven painters, as well as noted portrait painter Archibald Barnes. She attended the Port Hope Summer School founded by John William Beatty, and was a student of George Agnew Reid, Manly MacDonald and William Cruikshank. Harris is remarkable for her careful documentation of many of her paintings, including where and when the paintings were done, sometimes even the time of day. Many of these paintings are depictions of Southern Ontario that no longer exist, especially those of Toronto that have long since been paved over and developed. This historical record exists nowhere else. She also painted parts of the Canadian Maritimes and of boats and harbours in the U.S. Northeast. As she painted very few portraits, the ones on this website are a wonderful addition to this collection. During the First World War Clara studied at the Art Institute of Chicago. She exhibited at various art shows including The Sixty-First Annual Exhibition of the Ontario Society of Artists March 1933; The Artists’ Annual Non-Jury Exhibition, Canadian National Exhibition Art Gallery, May 1-15, 1935; The 71st Annual Spring Exhibition, Ontario Society of Artists, The Art Gallery of Toronto, March 5-29,1943. She exhibited her work at various art shows alongside but not limited to Arthur Lismer, A.J. Casson, A.Y. Jackson, Clarence Gagnon, Frank Panabaker, Homer Watson, Lawren Harris and Emily Carr. Her work was also exhibited at the Kaspar Gallery, October 1987 alongside that of Emily Carr, Paraskeva Clark, Kathleen Daly, Dorothy Knowles, Kathleen Morris, Mary H. Reid and Anne Savage. Clara married Frederick W. Harris, a draughtsman and artist. They lived for many years in the west end of Toronto at 23 Valleyview Gardens in the Baby Point neighbourhood. They shared their love of art as they travelled through Ontario, the Maritimes and New England. Their sketches, paintings, linocuts, greeting cards and correspondence are a tribute to this. True to the Group of Seven’s “plein-air” method of sketching and painting Clara travelled and painted on location capturing the beauty of each season. She was a stickler for authenticity never painting from post cards or slides. Dante De Monte was born in Toronto on May 6, 1926, on Symington Avenue. After serving in the Royal Canadian Navy during the Second World War, he obtained his B.A. at St. Michael’s College, University of Toronto. Dante graduated from Osgoode Law School in 1955 and he practised law in Toronto for 40 years. He was active in Liberal politics, serving as Vice-President of the Toronto and District Liberal Association from 1963 to 1967. In 1967, he was elected Member of Provincial Parliament for the riding of Dovercourt — the first member of the Ontario legislature of Italian descent. His special interests were immigration, citizenship and labour and he was named labour critic for the Opposition. His support and advocacy of the Italian community in Toronto included service as Executive Vice-President of the Italian Immigrant Aid Society, and he was active in Famèe Furlane Society, which was formed to assist immigrants from the Friuli, from whence his parents had immigrated. He participated in the founding of the Famèe Furlane Club, now part of the Friuli Centre in Toronto’s west end. A consummate organizer and fundraiser, Dante served as President of the Michael Power/ St. Joseph’s Dad’s Club for eight years and successfully raised large funds for the school community, for which he was presented with a special award of appreciation from the Sisters of St. Joseph and Basilian Fathers in 1986. His organizing skill carried over into neighbourhood life, and he helped organize the annual Games Days for the Baby Point Club, especially in the barbeque department. His roast pigs and half steers soon became part of local lore. Dante was the refined and enthusiastic host, convivial raconteur and lover of the family barbeque, the latter often including many neighbourhood kids. He adored his seven children and the memorable image of the De Monte brood piling in and out of Dante’s stylish 1966 Mustang has survived the test of time. He was a devoted husband and tirelessly supported his beloved wife Elvira as advisor and campaign manager throughout her long and distinguished career as Separate School Board Trustee and Chairman. He was also a man of the arts, lover of the ballet, opera and symphony (to which he introduced his children), a voracious reader and amateur military historian and an excellent cook. This was balanced by his love of sport. Dante was a devoted fan of the Toronto Argonauts, and held season’s tickets for decades, being a fixture at Argo games with his sons and nephews. stubborn stone to a joyless rubble. that the bulldozer cuts its hacking cough. a loud song of gladness and light. So that song will go on forever. Canadian poet and editor Raymond Holmes Souster was educated at the University of Toronto and Humberside Collegiate and served four years in the Royal Canadian Air Force. A lifelong resident of Toronto, he worked as a banker for nearly 50 years. Souster’s free verse poems capture the details of daily city life. He was the author of more than 50 volumes of poetry, including The Colour of the Times: Collected Poems (1964), which won the Governor General’s Award; Hanging In (1979), which won the City of Toronto Book Award; and Take Me Out to the Ballgame (2002). His Collected Poems was published in ten volumes between 1980 and 2004. He also published under the pen names Raymond Holmes and John Holmes. A strong supporter of independent presses and experimental poetry, Souster was the founding editor for the literary journals Direction (1941–46), Contact (1952–54), and Combustion (1957–60) and the founding president of the League of Canadian Poets. His Contact Press first published, among others, Margaret Atwood and Michael Ondaatje. Souster also edited the anthologies Poets 56: ten younger English-Canadians (1956) and New Wave Canada: The New Explosion in Canadian Poetry (1966). His honors include the Centennial Medal, the Silver Jubilee Medal, and the President’s Medal at the University of Toronto, and he was named an Officer of the Order of Canada. Souster died of cancer at the age of 91.